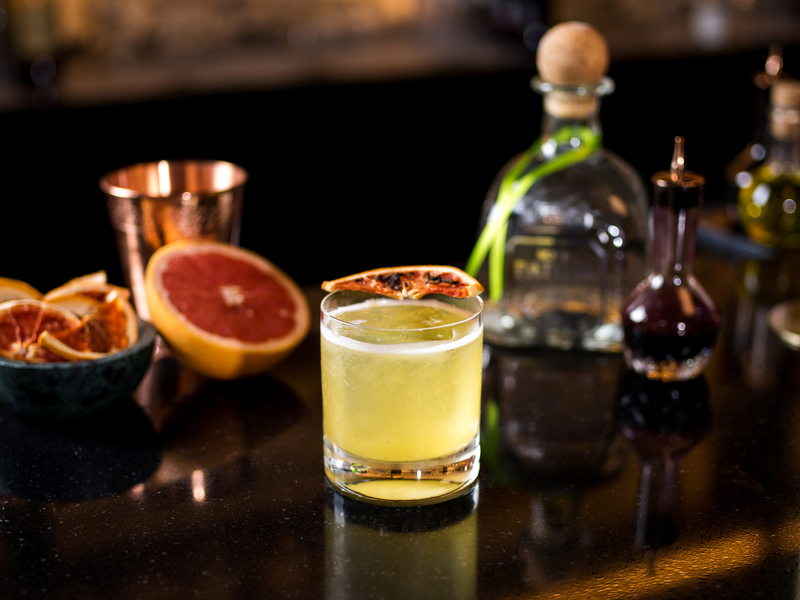 With its earthy herbaceous flavours, tequila makes for a both versatile and interesting cocktail base spirit. Traditionally mixed with orange (think triple sec) and lime juice in the many riffs on the Margarita – itself merely a renamed Picador (see below), contemporary parings include sherry, elderflower, pamplemousse liqueur, gentian liqueur and my favourite, Lavender. Origin: Created in 2005 by Mark Prat at Maze, London, England. Origin: Adapted from a recipe created in 2015 by Christopher Day at General Lee's, Los Angeles, USA. Origin: Created in Bermondsey, London by yours truly and adapted from the New York Minute, originally by Luke Whearty at Der Raum, Melbourne. Origin: Created in 2000 by Ben Davidson in Sydney, Australia. Origin: Adapted from a drink created in 2014 by Frederic Yarm, Russell House Tavern, Cambridge, MA, USA. Origin: Adapted from a Valentine's drink created in 2013 by Julie Reiner in New York City, USA. Origin: Adapted from a recipe by Jeremy Oertel, Mayahuel, New York City, USA. Origin: Created in 2015 by yours truly at the Cabinet Room, London, England. Origin: Created in 2010 by Chris (Hasselhoff) Hysted the Black Pearl, Melbourne, Australia. Origin: Created in 2008 at PDT, New York City, USA. Origin: Created in 2003 by Tony Coningliaro at Lonsdale House, London, England. Origin: Created in 2006 by yours truly at the Cabinet Room, London, England. Origin: Created in 2012 by Jeffrey Morgenthaler, Oregon, USA. Origin: Created by Jake Burger at Jake's Bar, Leeds, England. Origin: Adapted from a drink discovered in 2006 at All Star Lanes, London, England. Origin: A tweak on the classic by yours truly. Origin: Adapted from a drink created by Victor Bergeron (Trader Vic). Origin: Adapted from a drink created by Luke Whearty at Der Raum, Melbourne. Origin: Created by Don Javier Delgado Corona, at La Capilla, Tequila, Mexico. Origin: Adapted from a drink discovered at Bastille Cafe & Bar, Seattle, USA. Origin: Adapted from a drink created in 2010 by Jacques Bezuidenhout, San Francisco, USA. Origin: The original Margarita! Conjecture suggests that this British recipe was copied by whichever American gave the Margarita its name. Origin: Created in 2007 by Rich Hunt at Mahiki, London, England. Origin: Created in 2006 by yours truly, London, England. Origin: Created in 2009 by yours truly at the Cabinet Room, London, England. Origin: Created by Julio Bermejo and named after his family's Mexican restaurant and bar in San Francisco, USA. Origin: Unknown but popular throughout Mexico. Adapted from Craig Toone's (8:2:1) interpenetration of a cocktail that was doing the rounds in Manchester in 2003, originally under the name 'Triple Rum Daiquiri'. Origin: Created in April 2015 by yours truly. Origin: A vintage classic. This recipe by Ryan Chetiyawardana, London, England. Origin: Created in 2010 by yours truly at the Cabinet Room, London, England. Origin: Created in 2009 by Damian Windsor at The Roger Room, Los Angeles, USA.